AXS TV pays tribute to Southern Rock pioneers Lynyrd Skynyrd and The Allman Brothers Band with a Saturday Stack special event packed with classic concerts, insightful interviews, heartfelt documentaries and more on Saturday, May 5th starting at 1 pm ET/10 am PT. The festivities begin with a star-studded salute to the enduring legacy of Lynyrd Skynyrd, as the band rocks Atlanta with an unforgettable evening featuring roaring renditions of “Travelin’ Man,” “Sweet Home Alabama,” and “Free Bird,” joined by special guests such as Peter Frampton, Gregg Allman, Charlie Daniels, Cheap Trick, and many more in Lynyrd Skynyrd: One More For The Fans. 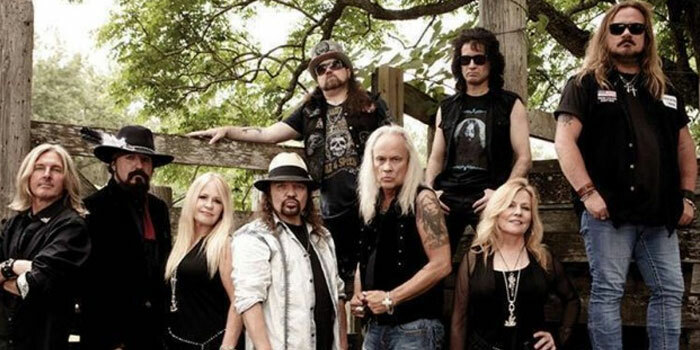 And, at 3 pm ET, Gone With The Wind: The Remarkable Rise And Tragic Fall Of Lynyrd Skynyrd takes viewers behind the scenes of the band’s incredible career and the plane crash that brought it to a startling end with rare photos, archived footage, and interviews with the people who knew them best. Then, at 6 pm ET, music legends come together to honor the incomparable Gregg Allman in the 2014 concert event All My Friends: Celebrating The Songs & Voice Of Gregg Allman, featuring performances by Eric Church, Robert Randolph, Brantley Gilbert, Dr. John, Vince Gill, and Martina McBride. The night continues at 9 pm ET with the 2016 documentary The Allman Brothers Band: After The Crash, the inspiring story of how the band persevered in the face of great tragedy to become one of rock’s most enduring acts; followed by encore broadcasts of Lynyrd Skynyrd: One More For The Fans at 11 pm ET, and All My Friends: Celebrating The Songs & Voice Of Gregg Allman at 1 am ET.